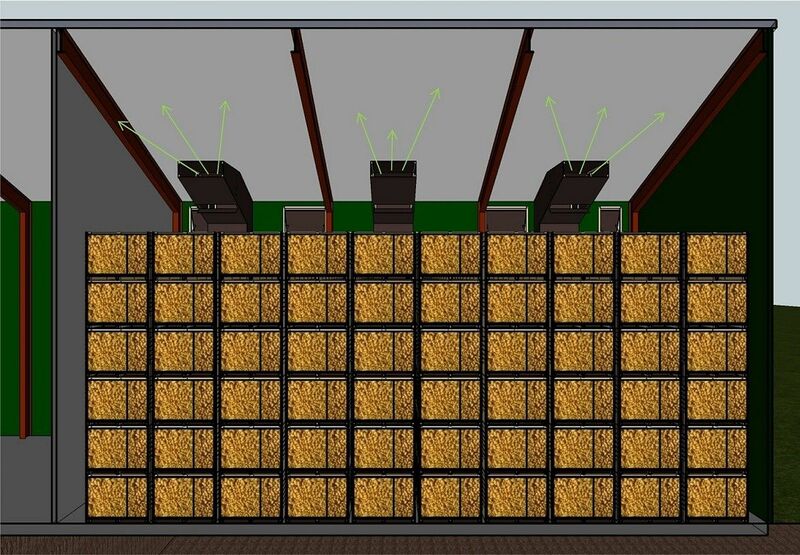 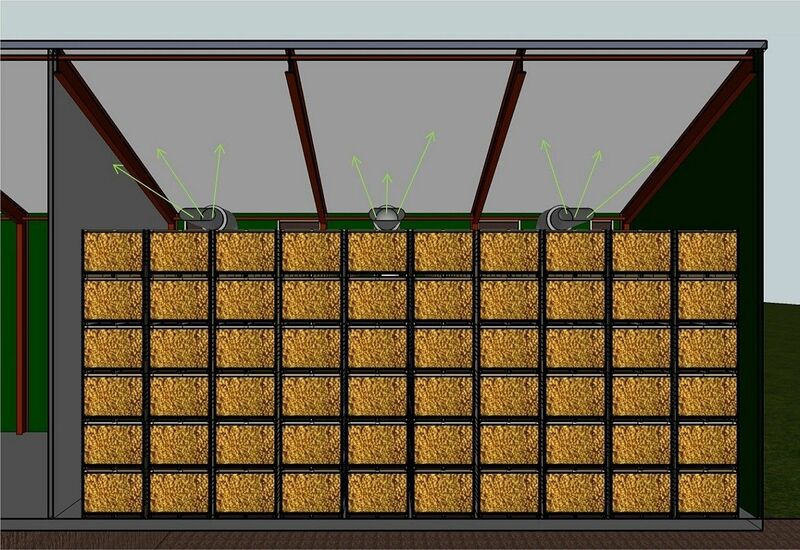 Cross section of aeration system with ventilation towers. 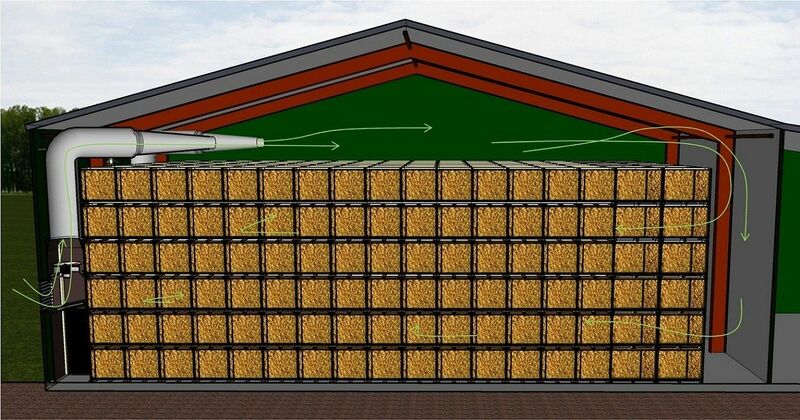 Cross-cut of aeration system with square ventilation towers. 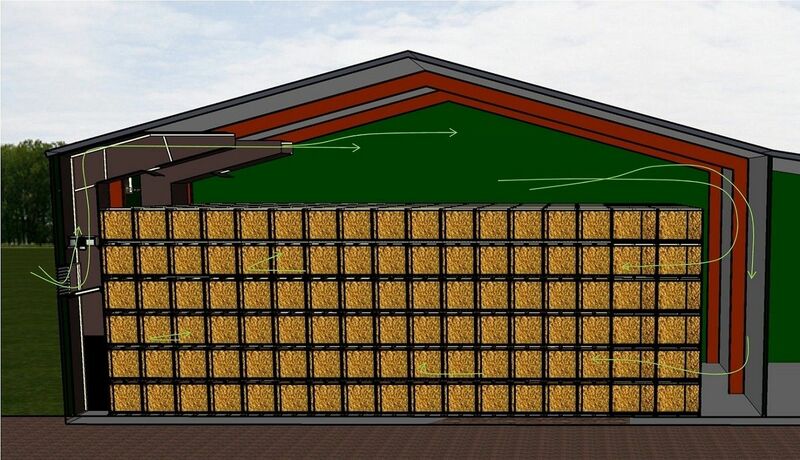 Outlet through square-shaped ventilation towers and hatches.